The main feature of new LIGHTMASTER 1000 series is the unusual possibility to fit all 1000W discharge lamps,both short arc/ long arc double ended and E40 tubolar types. This new range has infact also been designed to be suitable to E40 tubolar lamp, which has a very cheaper price comparing to double ended lamp and a longer life, without reducing the high photometric performances. 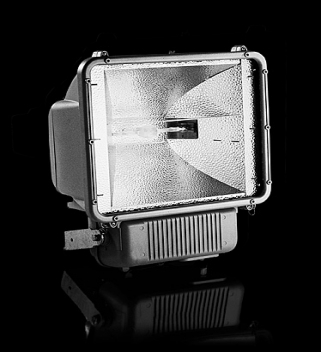 The large advanced technology system of this high efficiency powerful floodlight makes it suitable for many applications: sport facilities, large and industrial areas such as sea ports, terminal docks, container storage, railway yards and airstrips.